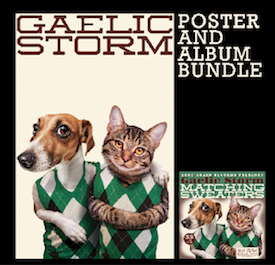 ANNOUNCING THE BRAND NEW ALBUM FROM GAELIC STORM - MATCHING SWEATERS! Introducing the new 2015 summer line from Gaelic Storm: Matching Sweaters. 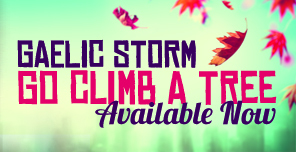 A premium blend of twelve brand new tracks, delivering the superior, hand-crafted quality Gaelic Storm fans have come to expect. Enjoy this unique combination of genres, masterfully woven together as only Gaelic Storm can. This "one size fits all" album is sure to become a new staple in your sonic wardrobe. Tumble Dry. No Heat. This is Matching Sweaters. SPECIAL PRE-ORDER BUNDLE AVAILABLE EXCLUSIVELY IN THE GS WEBSTORE!